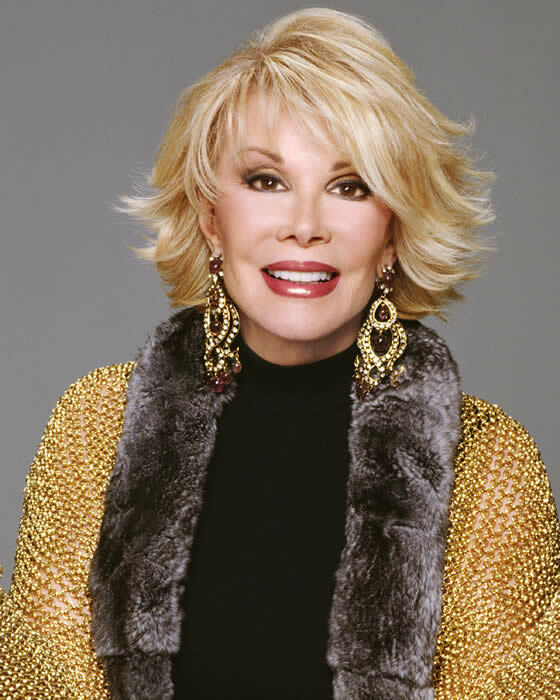 In July it was claimed Joan Rivers' Upper East Side apartment in New York City had sold to 'Middle Eastern royalty' for $28 million. Now DailyMail.com can reveal exclusively the buyer is Muhammad bin Fahd, the son of the late King Fahd and the former governor of the Eastern Province of Saudi Arabia. The 65-year-old prince has been remodeling the property - a 5,100-square-foot, four-bedroom penthouse - since the purchase, and neighbors are 'shocked,' according to an insider. 'Ever since Prince Fahd bought the home nearly two months ago, he has had designers and contractors in and out of the place,' a source tells DailyMail.com. Céline Dion explains that her return to Las Vegas is part of her duties to take care of ailing husband René Angélil, who continues to battle throat cancer . 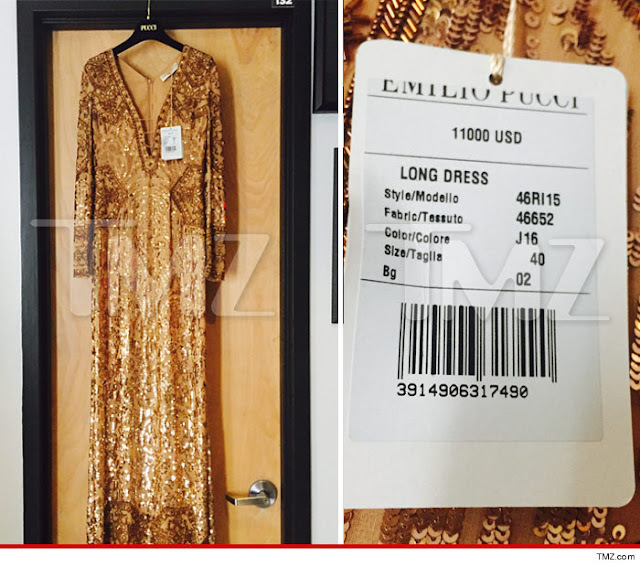 Nicki Minaj attended her brother's wedding and forgot her $11k ready-to-wear Emilio Pucci gown at the New York venue for the wedding. Jailed athlete Oscar Pistorious was supposed to be released this Friday, August 21 but South Africa's justice ministry has suspended his release, saying the decision to free the athlete after serving only 10 months of his five-year sentence "was taken prematurely" and with "no legal basis". The decision has now been sent back to the parole board for review and he will remain in prison pending that review. One of Pistorius' relatives, told Reuters news agency that they were "shocked and disappointed" at the news. Oscar Pistorius is seen with girlfriend Reeva Steenkamp one week before fatally shooting her. Olympic athlete Oscar Pistorius will soon move to house arrest, after serving just 10 months in prison for fatally shooting his girlfriend two years ago. The sprint runner will move Friday from the Kgosi Mampuru II prison in Pretoria, South Africa, to his uncle’s mansion in an affluent suburb of the city. After his release, he will not have to wear an electronic monitoring device and will likely be allowed to leave the house for mandatory work and important family events. Under South African law, he was eligible for release 10 months into his five-year sentence if he behaved well behind bars. But he will not be able to race again until the entirety of his sentence is up. Pistorius , 28, was convicted last year of culpable homicide for killing his girlfriend Reeva Steenkamp on Valentine’s Day in 2013. He was acquitted of a murder charge after arguing he mistook his lover for an intruder and shot her four times through a closed door. Just 10months? No wonder a lot of killing happens in South Africa. Lamar Davenport, 30, (left) has killed E'Dena Hines, 33, (pictured centre with Morgan Freeman and right) near her home in Washington Heights (inset) on Sunday. George Hudacko, 65, who saw the 3am attack on Manhattan sidewalk from his window and called 911 said Davenport was stabbing her and screaming: 'Get out, devils. In the name of Jesus Christ, I cast you out'. Davenport, an aspiring actor with a history of drug abuse, was dragged from her body and arrested. He has been taken to the New York's Columbia Presbyterian Medical Center to undergo psychological testing before being questioned by police. Miss Hines, who is the granddaughter of Morgan Freeman's first wife Jeanette Adair Bradshaw, was a regular on the red carpet with her grandfather and also appeared in a number of movies herself. 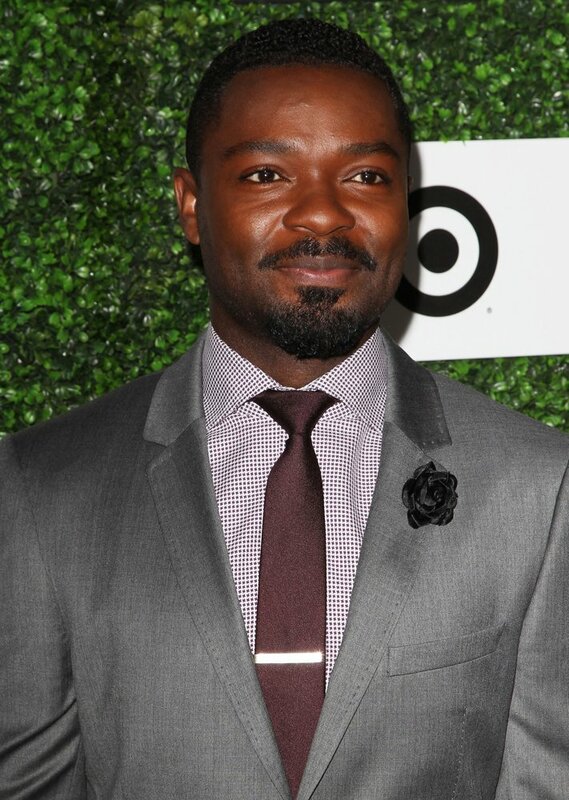 David Oyelowo will play James Bond. Although his performance will be heard rather than seen – in an audiobook. The announcement today follows long-standing rumours that Idris Elba is in line to replace Daniel Craig when the latter’s run playing James Bond on the big screen comes to an end, potentially in two movies’ time. Oyelowo will play Bond, and other characters, in the audiobook version of Trigger Mortis, written by Anthony Horowitz. Nick Gordon fed Bobbi Kristina Brown a ‘toxic cocktail’ then placed her face-down in a tub of cold water on the last night she was seen conscious, according to a landmark lawsuit filed on Friday. It adds a ‘wrongful death’ case against Gordon since he was accused of assault, battery, causing emotional distress, and stealing Brown’s money in late June. Brown, 22, was found unresponsive in a bath in January and remained in a coma for six months until her death on July 26. Now, a week after her funeral, attorneys have filed an amended lawsuit, seen by NBC’s 11 Alive, with astonishing new claims about the night Brown was hospitalized – including the news that there may have been another woman in the house with Brown, Gordon and their friend Max Lomas. The suit was filed by Brown’s court-appointed conservator Bedelia Hargrove. Wendy Williams Falls Off Stage In Houston! Controversial talk show hostess Wendy Williams fell of the stage during her tour in Houston on Saturday night and her fans are making jest of her lol. Kate Moss and Jamie Hince are set for a custody battle over their pet dog. The 41-year-old supermodel is rumoured to have split from The Kills rocker, and though he wants to take Staffordshire Bull Terrier cross Archie - who he rescued from Italy - with him to Los Angeles, the British beauty and her daughter Lila, 12, are devoted to the pooch and want to keep him with them. A source said: "So far things have been amicable, but the subject of Archie is really tricky and neither knows how to resolve the problem. It's believed that Archie technically belongs to Jamie but Kate has always showered him with attention and gifts. 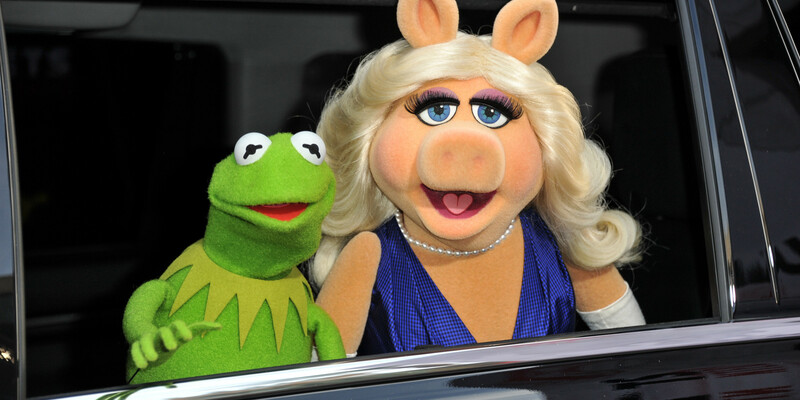 It's been a rough week in Hollywood for couples, and no breakup has been more shocking than the split of the beloved Muppets, Kermit the Frog and Miss Piggy. "After careful thought, thoughtful consideration and considerable squabbling, Miss Piggy made the difficult decision to terminate our romantic relationship," the two said on their respective Facebook pages. TMZ is reporting that Jennifer Aniston and Justin Theroux are married after being engaged for years. 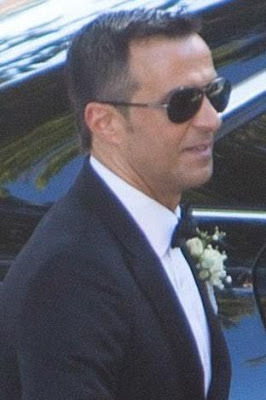 Jennifer Aniston and Justin Theroux had a surprise wedding at their Bel Air mansion last night -- telling all their celeb pals it was just a birthday party, but then did the deed, instead. Our sources say Jen told friends she was throwing a surprise 44th bday bash for Justin. Great cover, and friends like Howard Stern, Chelsea Handler, Sia, Lisa Kudrow and John Krasinski showed up - but TMZ knew something was up Wednesday afternoon when we spotted a very wedding-ish cake going into the house. It had two muppet-like characters -- male and female -- on the top. If it was just a birthday party for Justin ... why have 2 people on the cake? Bad Boys 3 And Bad Boys 4 Get Release Dates! Fans of Will Smith and Martin Lawrence should get very excited for 2017 because the "Bad Boys" movie franchise is returning for parts 3 and 4. According to SONY, Bad Boys 3 will be released on Feb. 7, 2017, while Bad Boys 4 will be released on July 3, 2019. TILB Readers, are you excited for the "Bad Boys" return? Also, are you a fan of the franchise? Kelly Osbourne Practically Reduced All Latinos To "Toilet Cleaners"
Kelly, who not long ago threw Guiliana Rancic 'under the bus' is getting a taste of her own medicine. She is being dragged for the controversial statement she made during an appearance on The View. "If you kick all Latinos out of this country, who is going to be cleaning your toilet Donald Trump?" she said. Bobby Brown's wife Alicia Etheredge was just rushed to an Atlanta area hospital after suffering a seizure. We're told that Alicia suffered the seizure at a hotel the family was staying at on Saturday night after Bobbi Kristina's funeral ... she was taken to the hospital in an ambulance. Our source says once Alicia got to the hospital she was able to walk inside with little help. Bobby Brown is by her side. Family and friends yesterday said goodbye Saturday to Bobbi Kristina Brown, the only child of the late Whitney Houston and singer Bobby Brown, at a private funeral just north of Atlanta. The body of Brown, 22, was carried in a silver casket to St. James United Methodist Church in Alpharetta, where the invitation-only service included grandmother Cissy Houston; Bobby Brown and his wife, Alicia; and celebrities including media mogul Tyler Perry and singer Monica. They arrived in a motorcade of limousines, led by police motorcycles. 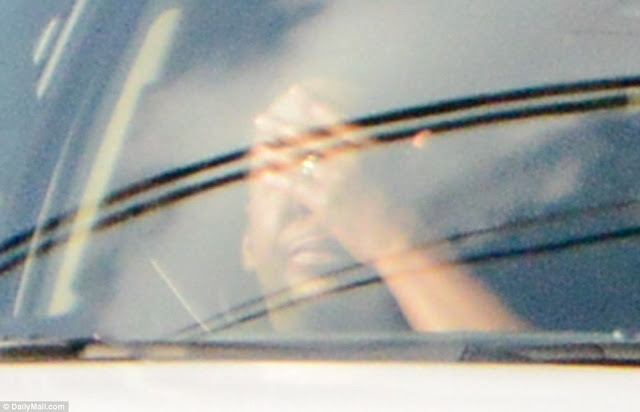 A devastated Bobby Brown broke down as he left a reception on Saturday following the funeral of his daughter Bobbi Kristina. There were also reports the family was fighting over her care, though Bobby Brown said in June the family was working together on his daughter's behalf. Bobbi Kristina Brown has been laid to rest today August 1. The funeral was organised by Pat Houston the wife of late Whitney's brother who decided on a Sweet Sixteen theme. Dionne Warwick,Whitney's cousin was not seen to have attended amid rumours that she was unhappy with this choice for the ceremony. Bobbi was later flown to New Jersey on the private jet of movie mogul, Tyler Perry, where she was laid to rest in Fairview Cemetery in Westfield, New Jersey, alongside her mother and grandfather. Bobbi’s $20million fortune is allegedly now the bone of contention between the warring Brown and Houston family but Bobbi's grand mum Cassie Houston will get the entire sum. Bobbi Kristina will be buried today by 11am in an invite-only funeral that will take place at St James United Methodist Church in Alpharetta. Yesterday, her wake keeping held at the Murray Brothers Funeral Home and her family members came in their droves to to pay their last respects. Her father Bobby Brown was spotted looking so tense and emotional as he walked slowly out of the funeral home on Friday. So also was her grandmother Cissy Houston. Bobbi's aunt Pat Houston has allegedly planned a 'sweet sixteen' theme for the funeral. Also at the wake, soon after the Houstons left the funeral home, the Brown family arrived to view Bobbi's body, causing speculation that the families had planned to avoid each other. Mark Zuckerberg the owner of the biggest social network (FACEBOOK) in the world shared this on his Facebook page. Priscilla and I have some exciting news: we're expecting a baby girl! This will be a new chapter in our lives. We've already been so fortunate for the opportunity to touch people's lives around the world -- Cilla as a doctor and educator, and me through this community and philanthropy. Now we'll focus on making the world a better place for our child and the next generation. Supermodel Naomi Campbell has been found guilty of assault following her encounter with a paparazzo photographer in August 2009. The photographer, Gaetano Di Giovanni, accused Naomi of scratching his eye and hitting him with a handbag when he attempted to take pictures of her and her former Russian billionaire boyfriend, Vladimir Doronin as they walked through the Sicilian island of Lipar in 2009. Di Giovanni said Naomi noticed he was taking photos of her and Vladimir and attacked him with her handbag. She scratched one of his eyes and he needed medical treatment following the incident and took three days to recover, he testified in court. Naomi was convicted of assault by a Sicilian court yesterday Friday July 31st and received a six months suspended prison sentence.